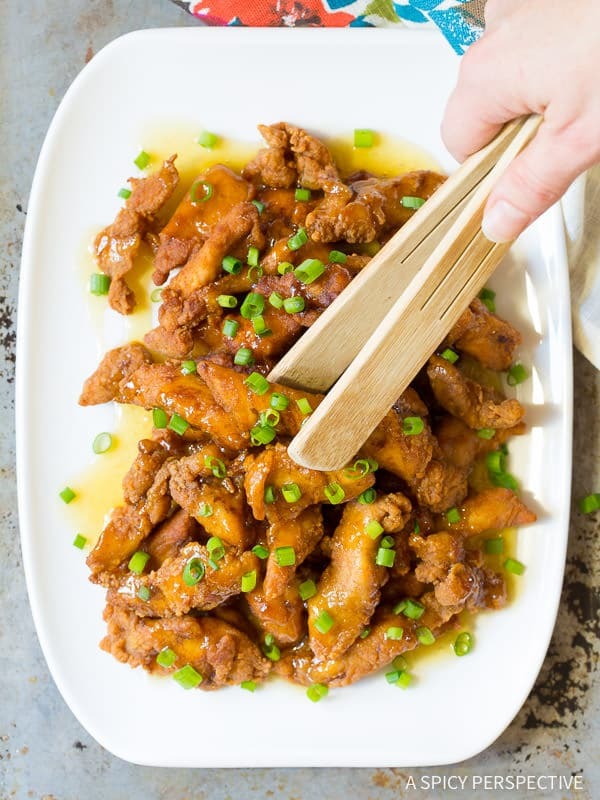 Crispy Paleo Lemon Chicken Recipe, an appealing comfort food you can enjoy, even while your watching your diet! There are few things in life that make me as excited as fried chicken. Very few things. This time of year, when I’m trying to reset my eating habits, it can be so hard to stay on track. Trigger foods seem to pop up everywhere I look. Yet what if the trigger foods are revamped, so that I can enjoy them and not torture myself later in the day? 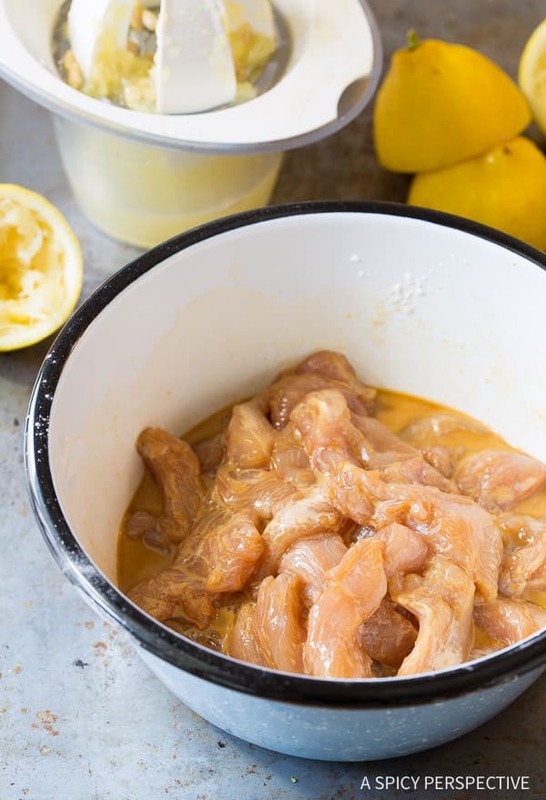 Today I’m sharing a cleaned-up version of my Chinese Lemon Chicken Recipe. 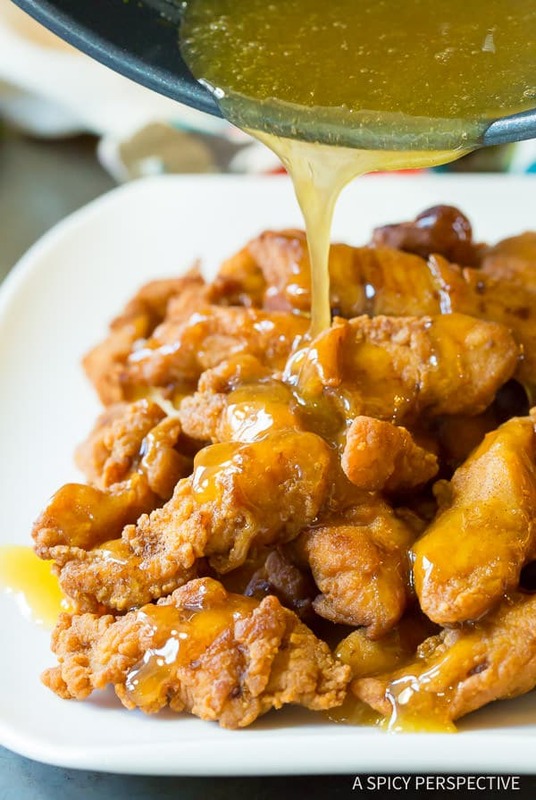 Crispy fried chicken pieces drizzled in a sweet tangy lemon glaze. I’ve substituted all the not-so-healthy ingredients for cleaner items such as honey and coconut flour, so they easily fit into a gluten free and paleo diet. 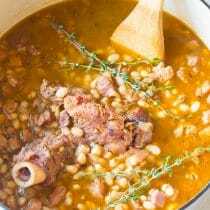 In the recipe below I also mentioned what I substituted each ingredient for, so that if you’re feeling like a rebel this January, you can make the traditional less-healthy version as well. Let’s be clear, this paleo recipe is still fried chicken. Fried in oil. 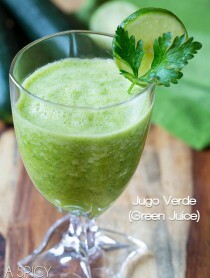 However, the oils and all other ingredients incorporated are easier for you body to digest than the classic ingredients. 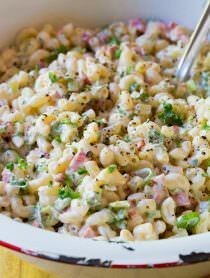 This is a great recipe to add to your menu when you need something to satisfy a strong fried food craving. Maybe not every day, but here and there. 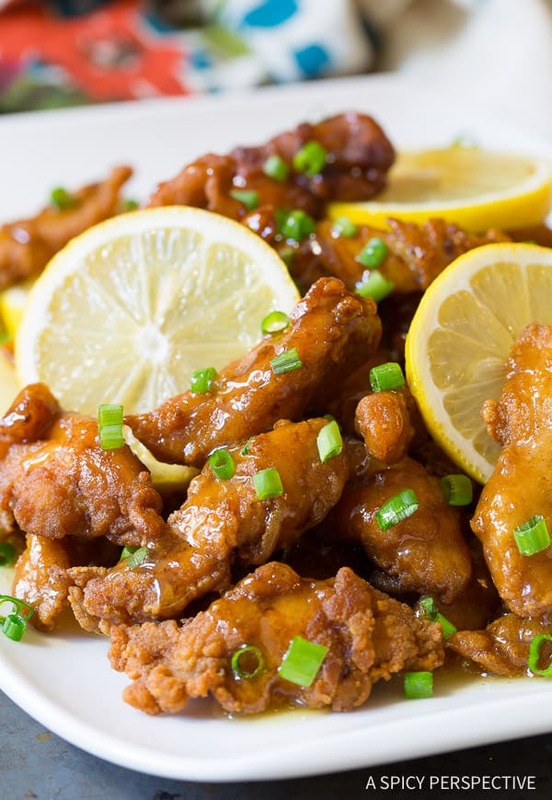 Our Chinese Lemon Chicken Recipe pairs well with paleo fried rice and mango napa cabbage salad for a big meal that is easy on the waistline, yet feels like a splurge! You can have dinner parties in January, even if all your guests are toting food journals. 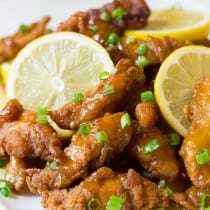 Paleo Chinese Lemon Chicken Recipe! So fresh and crispy, you won’t even know it’s healthy! 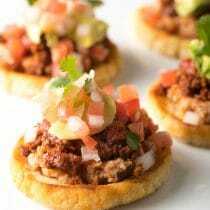 This easy to make recipe is gluten free, dairy free, and nut free. Place the chicken pieces in a bowl and toss with coconut aminos, sherry, and 2 tablespoons arrow root powder. Set aside. In a skillet mix the honey, lemon juice, grated ginger, 2 tablespoon water, 1 tablespoon arrow root powder, and 2 pinches salt. Whisk well. Set the skillet over medium heat and bring to a simmer to thicken. Once the mixture has slightly thickened and is bubbly. Remove from heat to cool. Set a large skillet over medium heat and add enough oil to coat the bottom of the pan 1/2 inch deep. Place a paper towel lined plate close to the skillet for the fried chicken. In a small bowl, mix the remaining arrow root powder (approximately 1/3 cup) with the coconut flour. Add 1 teaspoon salt and 1/2 teaspoon ground pepper, and toss to mix. Once the oil is hot, dredge the chicken pieces in the flour mixture and shake off the excess. Carefully lower half the chicken pieces into the skillet. Fry for 1-2 minutes until golden brown. Then flip each strip with long tongs and fry another 1-2 minutes. Move the chicken to the plate to drain. Repeat with the remaining chicken. To serve: Place the chicken on a platter and drizzle the warm lemon glaze over the top. Serve immediately! Thank you SO much for this delicious dish! I served this with your Napa Cabbage salad tonight for dinner (which was also AMAZING!) My husband and daughter are humming while eating it which means it’s YUMMO! Just found out I had a wheat allergy. This recipe was awesome and the fried chicken was some of the best I have ever had! Thank you so much for sharing. The wheat free life just got a heck of a lot brighter! Do you think you can make this with boneless chicken thighs? Also, do u think a coconut flour sub for arrowroot? Can’t do any grains, so no corn. This recipe was phenomenal!!! Best fried chicken I’ve ever had and I feel so healthy eating it! Good job! Highly recommend it! 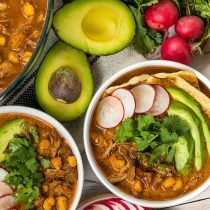 I think I just drool alittle looking at this recipe! 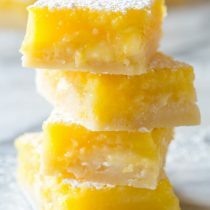 Can I make the recipe with almond flour instead of arrowroot powder? Can I make this without the sherry? It looks awesome! Yes you can, but it will take away from the flavor a bit. Just add an equal portion of broth. I just wanted to tell you that this is hands-down my favorite recipe to make. LOVE IT — even without the lemon sauce, this chicken is awesome. This was SO good! My kids, even my pickiest, had seconds. Next time I’ll combine the arrowroot with water before putting it in the skillet with the honey-lemon mixture to prevent clumps. Otherwise, it was absolutely perfect. 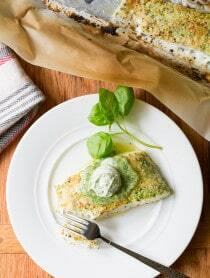 I really love your recipes of a tasty gluten free food! 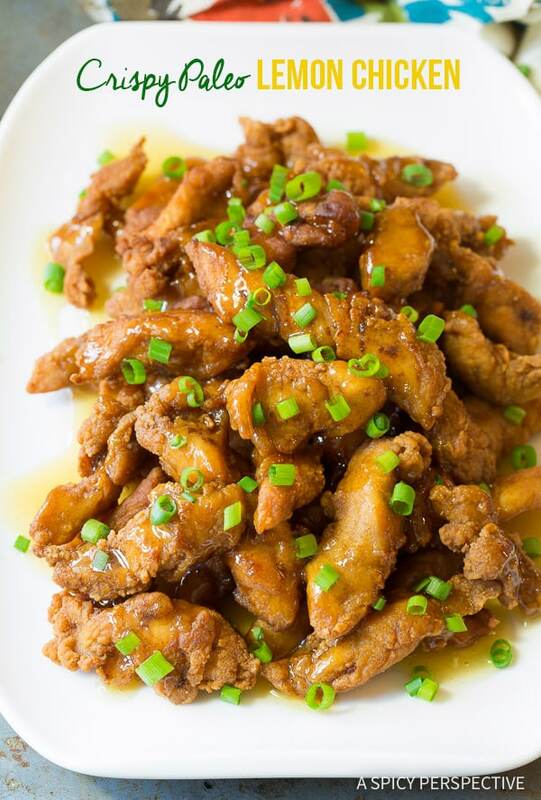 My diet with your website is not so hard:) This honey chicken is really amazing. Thanks a lot! love the healthy revamp! great idea! OMG- I am so excite dot try this Sommer!! This is exactly what we eat in our house! This looks so good, I love that it’s paleo too. Looks like the perfect game day food for my boys! Ah that looks quality. Love fried chicken as well! If I’m having a chunky moment, are the substitute ingredients the same quantities? What would you say is the most important sub to keep things healthy?? Cheers! Hi Martin! Yes, the substitutions are made in the same quantities in this particular recipe. As for what’s the most important swap for health, that might be based on what your goals are. If you just want the recipe to be gluten free, then only the flour substitution matters. Sounds great! Will be a nice change from all the foie gras and duck, (I live in Dordogne), and yes you can have more than enough of foie gras. 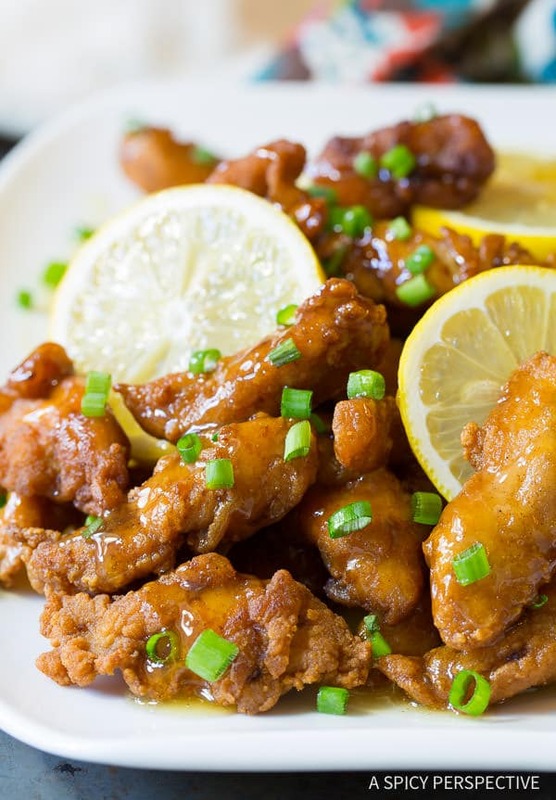 Looks great on it’s own, but I’m wondering if this might be easily adapted into Chinese Lemon Chicken by adding just a few spices (hot red peppers, Szechuan peppercorns, soy, black vinegar, garlic, Chinese five spice, etc. ).